Some times when I do a lot of junking or thrifting I do not always have time to photograph everything. I have gone back and taken photos of a few things I have found in recent weeks. These vintage games are in excellent shape. My sisters and I played a lot of Life when we were young. My boys have this game now, but it is manufactured in the last 10 years. I really do not like how the game is played now. So I was happy to find this old game in great shape. 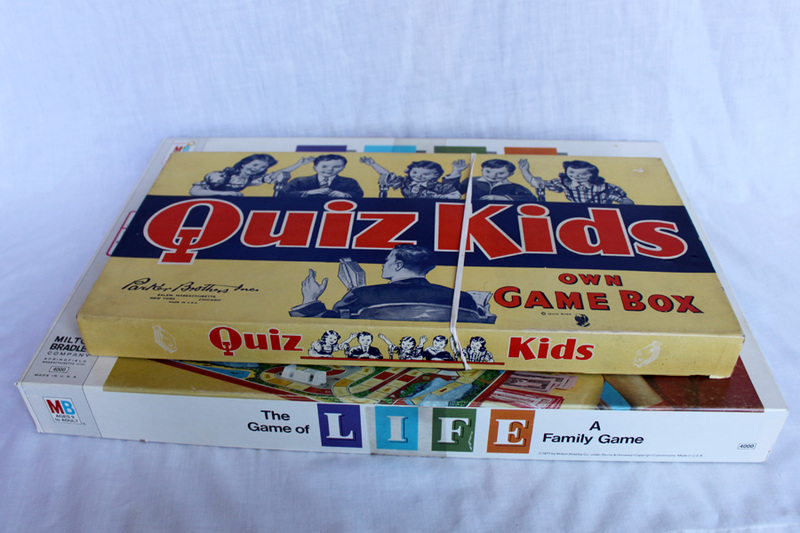 As for the Quiz Kids, I had not heard of it before. It is a game from 1940. I do not know how to play it but look at a couple of questions in the game. Gives you an idea of what life was like in 1940. 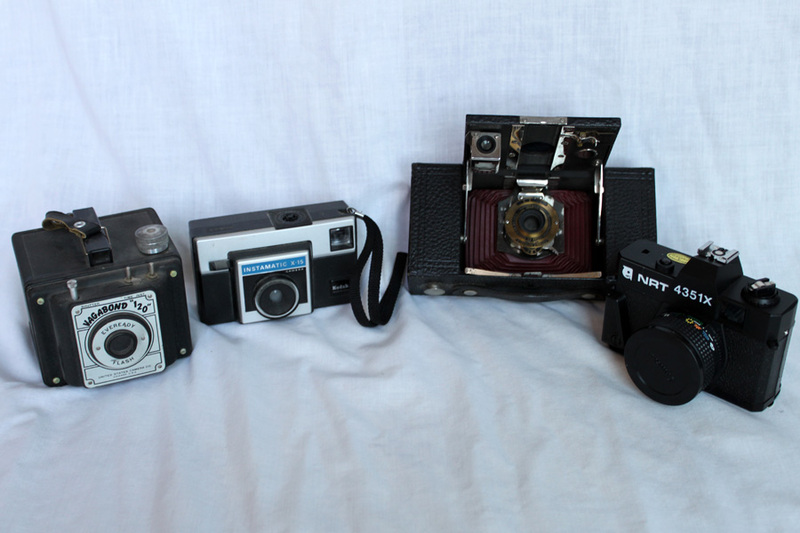 Four more older cameras. Does this mean I have an instant camera collection? 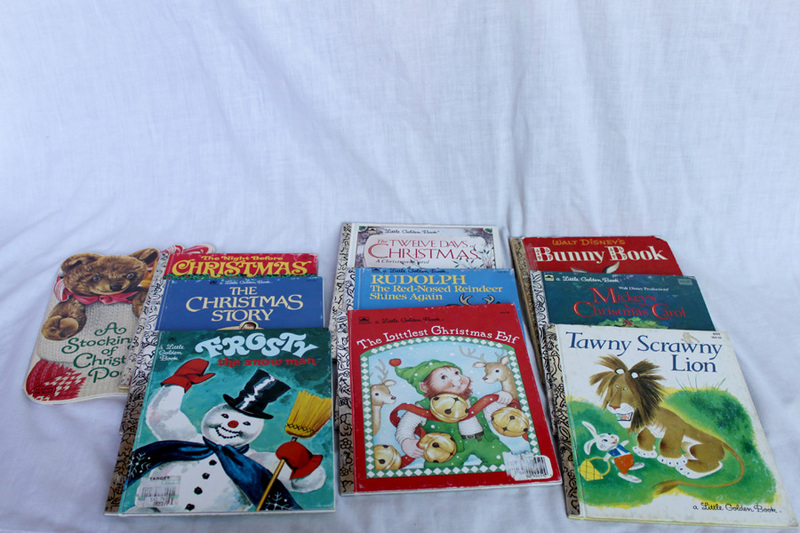 Christmas is slowing quickly approaching, so it was fun to find some awesome vintage children’s books that were mostly Christmas. I have always enjoyed Golden Books. Love that this toy school desk is in pretty good shape. It is missing the letter “Y” but otherwise has the rest of the letters and the cards in it as well. 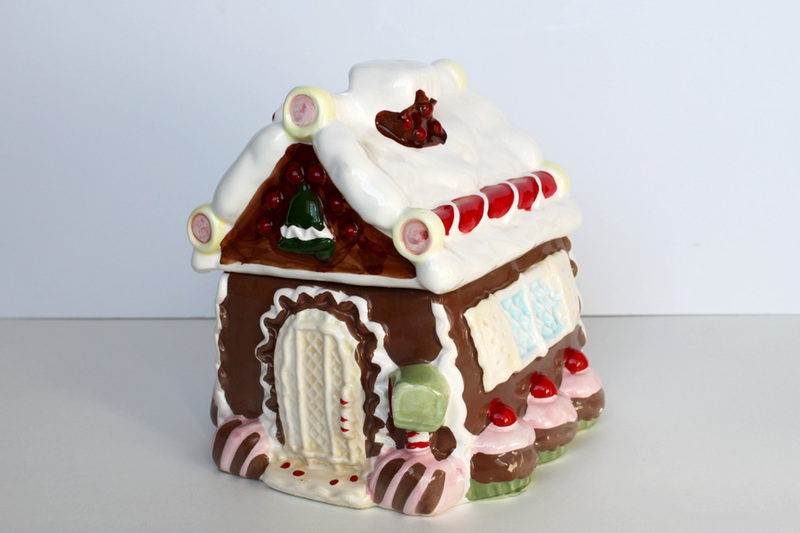 Since I mentioned Christmas I thought I would show you a Cookie Jar that I recently acquired. Thought it is fun because it looks like a kid created it. So are you starting to find Christmas items or are you still trying to pretend Christmas isn’t coming? Those questions really do give you a peek into what was important and life was like. My favorite thing about it. thanks. Oh I love that little school desk! I remember buying one for my daughter like that. Thanks so much for stirring up such fond memories. 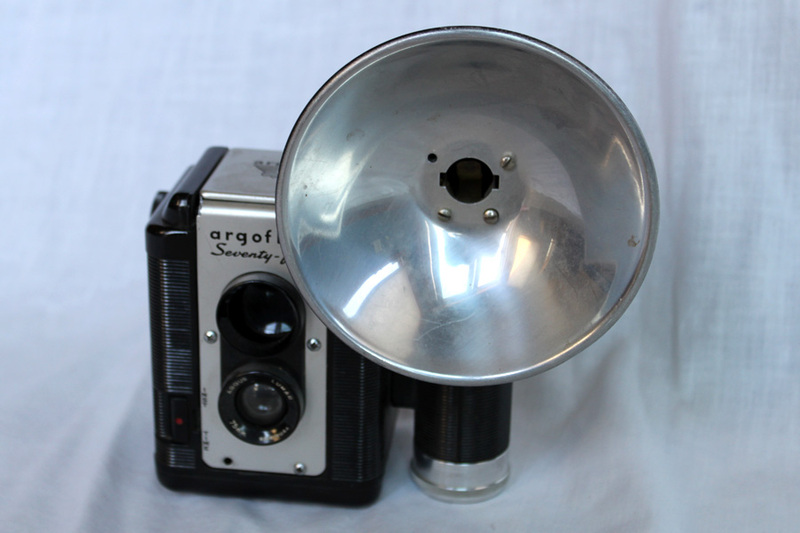 That is what I love about vintage items…the memories they bring up. Thanks for letting me know it stirred up a great memory. Love, love, love those cameras you got! You brought home some super bargains! I gravitate toward older games, too. Glad we still have our Life game from years ago; I didn’t realize it had changed. You got a great deal on those cameras! And the Golden Books are hard to pass up, aren’t they? Love the Frosty, Bunny Book, and Tawny Scrawny Lion. I am a complete and total book lover. When my boys were young we had a ton (I don’t think I am exagerating) of books. They both are book lovers and my oldest is a speed reader. My bedside is always filled with books, but I do not read as much as I like to. My goodreads site is http://www.goodreads.com/user/show/1874807-karen. check it out to see what I read. Are you collector of books or do you read them too? ooh cameras!! yes instant collection it is!! OMG!! You are pulling at my heart strings this week! I LOVE the little golden books. The cameras are awesome and Life was always and still is on of my fave games. I may just have to pull it out and make the fam play it this weekend! ;) Now what really brought me excitement was the old school house chalk board!! 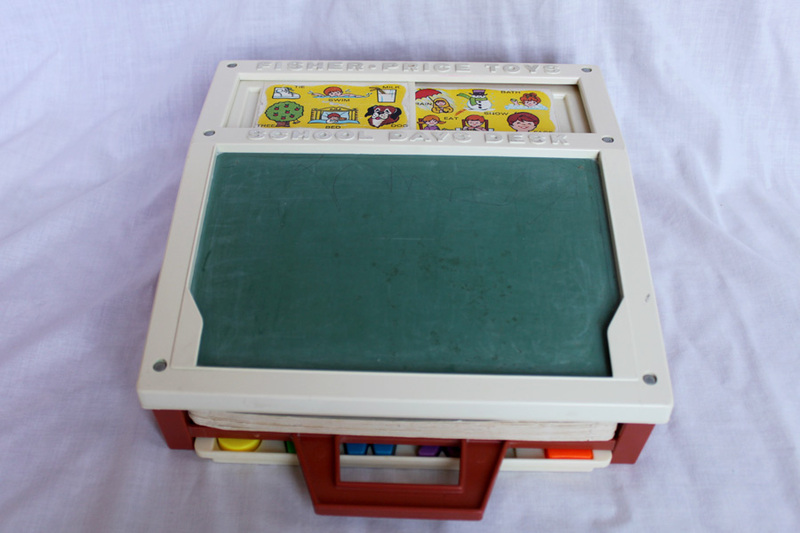 I had one of those and it was my fave toy when growing up!! Thanx for taking me back down memory lane and for coming to party! !